I did Stampin UP punch duplicates that are as close as 1/16th of an inch correct. 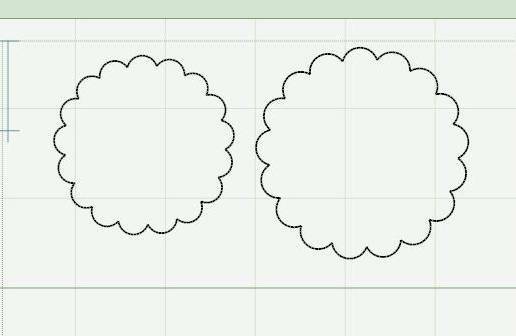 You can resize them if you wish but they are set in the file to be cut at the size of the punch. 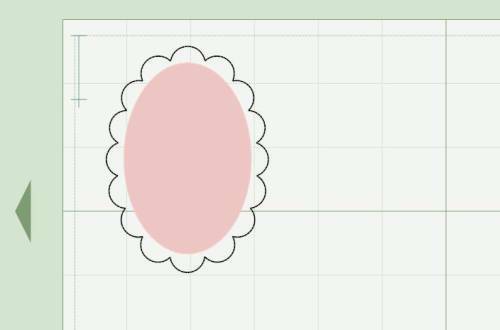 And then I also did a set of basic scallop shapes that we all love!! Here is the scallop oval. 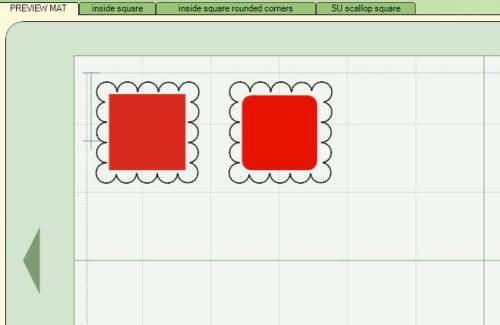 You can resize the inside oval and also the scallop oval, as you can with each of the files, if you need to. 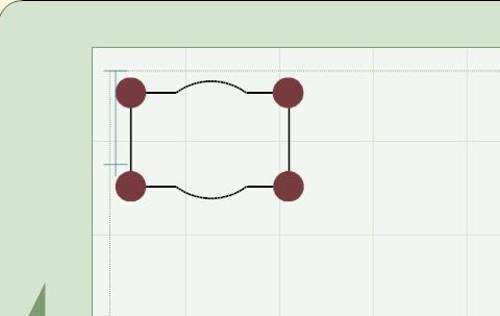 Just do the copy and paste and fill your whole mat with the shapes! And next we have the scallop circle. I forgot to do the inside circle during the screen shot but it is on there. 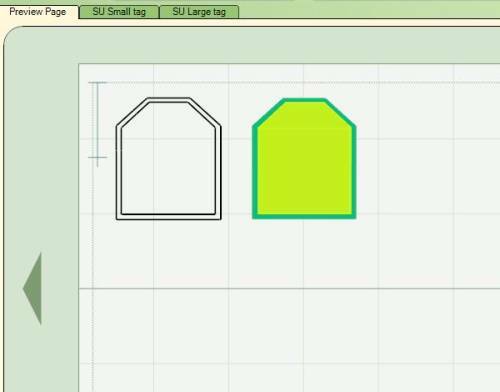 This is the rectangle shape. I like this one for cards. 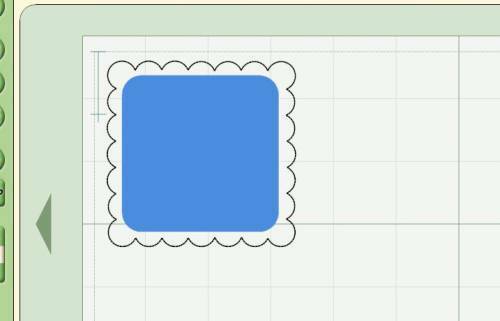 I have one I did in various sizes that I use a lot with Studio G and Inkadinkado little stamps quite often but could only cut one at a time since it was do difficult to copy and paste each individual circle. And then we have the scallop square. Yet another good one for the small stamps. But now you can even use bigger stamps, or at least I can. I will so love being able to cut a whole mat of these to have on hand!! I know Enfys says she cuts her most used colors to have handy when she is making cards, that woman is just too smart and too talented!! These next screenshots are the Stampin Up punch duplicates. And it is actually how I got started on all this. I recently bought a retired set at a garage sale of the Tag punch and stamps and loved them. I thought "dang I need the smaller tag but I don't have the money for the punch right now". Who knew one little cut file was going to lead to all of this! I wanted to see if I could make it where I could copy and paste the whole image. Once I got it figured out I thought I would do the large tag. And then that lead to the scallop circle, square...etc. Then I decided to do basic scallop shapes.....anywho...that is how all this started *okie watches everyone going to sleep during the story she is telling* HEY YOU GUYS WAKE UP!! THERE ARE MORE SCREEN SHOTS TO LOOK AT!! Oh yes...back to the tag set. Here it is. I have the 12 stamps that were made for this set. I got a really good bargain on them. I tell ya I am really liking Stampin Up products! They are pricey in my book but with these it honestly is getting what you pay for. The images are always so crisp! 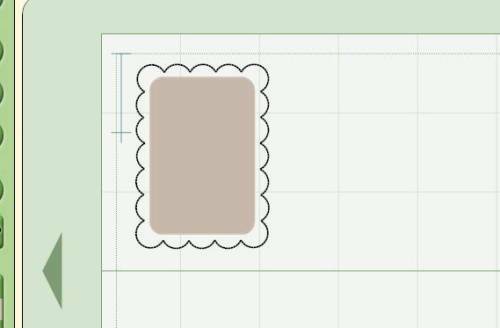 And this is the Stampin Up scallop square duplicate. I did a rounded corner and regular corner for this. I like rounded corners myself. While I don't have any stamps for this punch yet I have been looking through my catalog at some. I think I will need a Stamp Ma Jig *okie wonders if that is what it is called* that will help me line up my stamps. My friend Scrappinbee says she has one and just loves it!! 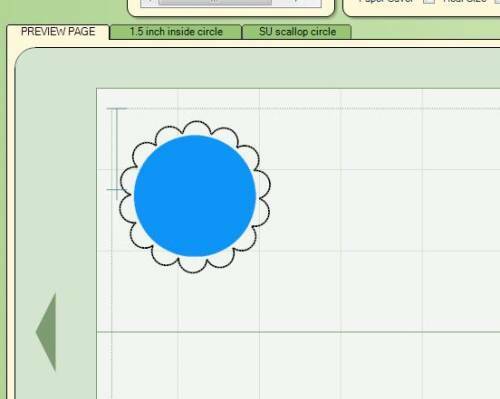 This is the Stampin Up scallop circle....14 bumps, just like the punch !! I do have to say I love circle stamps. I don't know why but I just think they are adorable!! While I don't have any of the designer label Stampin Up stamps I do like the looks of the punch, and who knows, one of these days I might get the stamps to go with it. Now on this one it is a two layer. I couldn't get the circles to do the ticket type punch in the label design. The whole welding thing...*okie looks as some of the faces seem to have a look of "huh?? what??" on them*. Not sure how to explain it. But anyway the circle corners will have to be overlayed on top of the label base to get the ticket corner punch effect. Each time I do post a file for download it will have it's own post and be clearly labeled for download so you know which one is being released. Are you excited yet?? I KNOW I AM! I will be releasing AT LEAST one today!! Thanks so much for sharing!!! You are so awesome!!! Cant wait for the others! I will be checking out your sponsers! Any How I dont care How Long it takes to get em I LOVE EM.. Loves U tooo!!! You are the best! This is so exciting! So neat to be able to do this in all sizes and not have tons of punches! You ROCK GIRL!! You are amazing and your creations are exceptional. Thank you so much for your willingness to share all your hard work. Thank you SO much for creating AND sharing these great files!! Okie you are the best! I just got a catalog for SU on saturday and oh my gosh i love them.... This will help my budget out alot!!!!!!! OMG - You rock!!!!!!! I can't wait to try these.....any chance you could add the round tab punch to your collection????? Thanks so much for sharing your beautiful work. Okie! You're awesome! thank you so much for sharing with us. Someday I hope to figure all this out and be able to share too. Okie, thanks for creating these files but most of all for sharing them w/us. Thank you so much for all the amazing files. I downloaded many of your adjustable files but didn't leave a comment on every one of them so I just want to say Thank YOu here. I appreciate all the time and effort that goes into these great files.